Songs stored on USB flash drives could soon be included in the UK singles charts. After the success of Keane's single 'Nothing's in my way' which was released on a flash memory drive last year, Glaswegian band The Fratellis are doing a similar thing. They've released their new single 'Baby Fratelli' on a USB drive this morning, amid calls by industry insiders that USB single sales should count in the official UK singles chart. 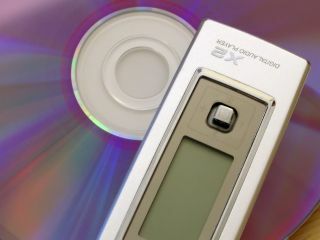 It's a move that could spell the beginning of the end for CD singles, with a new generation preferring to buy digital downloads instead of chart songs on CD. Keane's USB single last year sold out within one day of being released. The Fratelli single has been put onto 7,000 USB memory sticks and shipped to music stores around the UK. Gennaro Castaldo of HMV said, "Success for this format would create a growing case for the Official UK Charts Company to consider making them chart eligible."